Workflows, business rules, structures and automated background processes to collect, discover, evaluate and develop ideas. Planbox Idea Management Software provides workflows, business rules, structures and automated background processes to collect, discover, evaluate and develop ideas. Ideas are at the most valuable and yet most poorly managed information in many organizations. Suggestions, feedback, and ideas proposed by customers, employees, business partners and stakeholders are often lost in email threads, support ticket notes, siloed informal conversations or elsewhere. 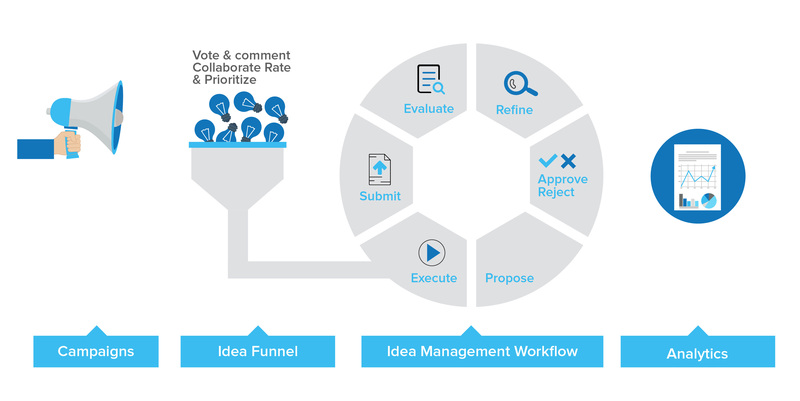 Even if an idea is captured and recorded, no one has the time to review, evaluate and develop them as idea management is often deemed to be low priority non-core function.